This time, it’s a debut on Live and Loud! 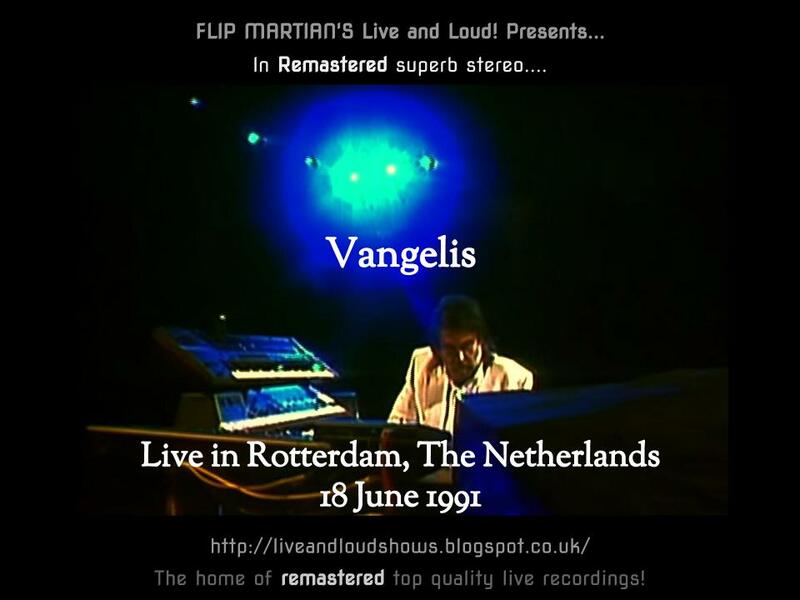 for Greek composer Vangelis. 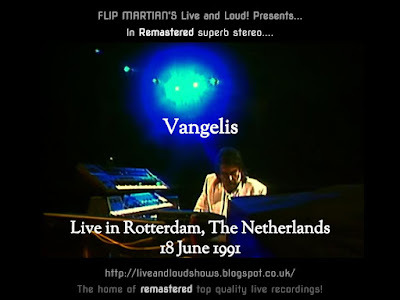 In 1991 Vangelis was asked by the Dutch ministry of Economic Affairs to provide the highlight of an event being held in Rotterdam and a concert was organised at the docks, with Vangelis performing outdoors to backing tracks with animations and lasers being projected onto nearby buildings. It was unfortunately a relatively short concert for the 150000 people who were said to have attended; what is here would indeed appear to be the whole thing - an encore had been planned but apparently was abandoned due to the awful weather on the night (as the night wore on, the rain got worse and worse). This is originally an FM recording - I spent about an hour alone on repairing a rather bad bit of tape damage to the original recording (its not gone completely but that part doesn't disappear anymore). Then it was some careful EQ to separate out the instruments a bit and give greater clarity, reducing the harsh high end frequencies and restoring the lower end.